Most successful real estate investors know it’s common for deals you think you’ve lost to come back around. It’s also common for one door to close, and another to open. Joe Fairless shares more in this FlipNerd.com Flip Tip! 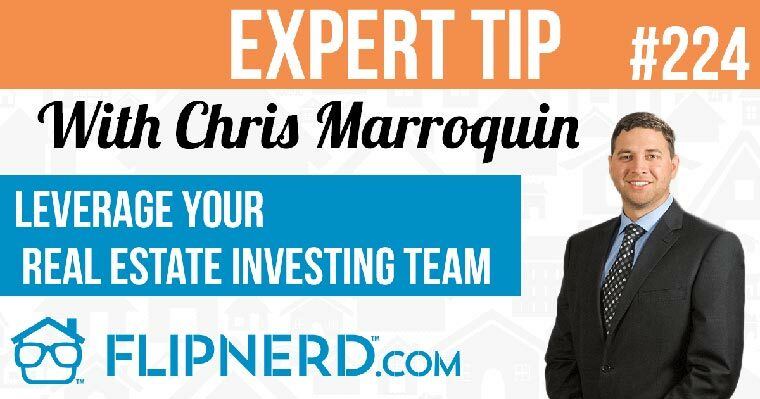 Mike: Hey, it’s Mike Hambright from FlipNerd.com and we have a quick VIP tip to share with you from Joe Fairless who’s going to share a tip on why it’s okay to come in second place. Joe: It’s definitely okay to come in second place because . . . and when I mention second place I’m talking about not getting your offer accepted by the seller, because sometimes when the offer isn’t accepted by the seller and they go with another offer that seems more appealing, that offer isn’t able to close or they don’t close for whatever reason, so the seller actually comes back to you, the group in second place. Usually the terms are definitely at the same level as when you offered, but usually you can make them even more favorable. By coming in second place you’re coming out ahead, better than what you would if you came in first place. Mike: Awesome. Good advice. Stay focused and just because a deal is lost doesn’t necessarily mean it’s lost, right?